Discussion in 'Bird Hunting' started by JPK, Jan 8, 2017. I know some of our members here are avid waterfowl hunters, as I am. Wildfowler comes to mind..., hmm wonder why? We had a winter storm blow through Friday into yesterday and it yielded an epic duck hunt. We started in a big water blind on the Chester River and six of us killed a limits of blue bills (aka scaup, black heads) and a couple of mallards, as well as a few buffle heads. 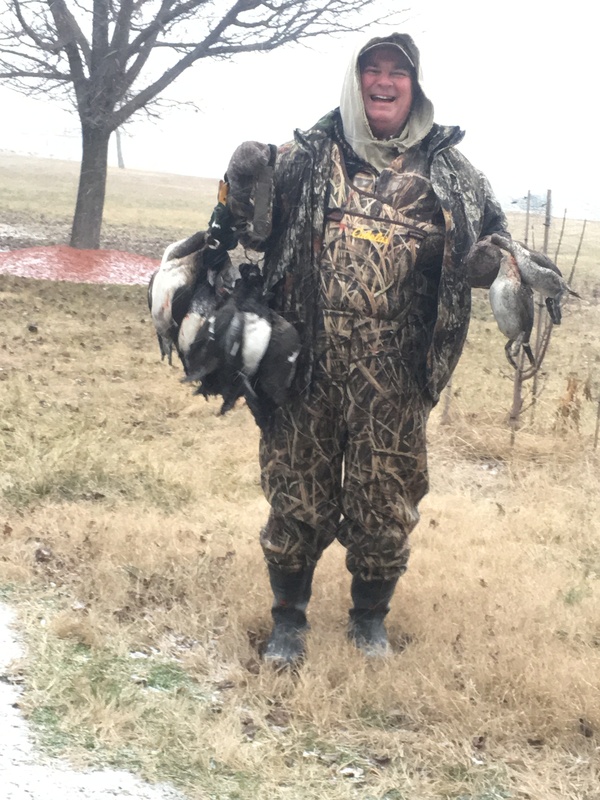 Then four of us moved to a small impoundment which had been planted in corn and then flooded and killed about a dozen of so mallards. A couple of us moved back to the big water blind hoping for some red heads and canvasbacks, but I needed to head home before any flew into the dekes. Great duck hunt! Of course, if there are no photos it didn't happen. So I'll post a couple as soon as I get them up on imgur. Homebrewer, djones, Wildfowler and 8 others like this. I sure miss bird hunting in Colorado and Montana. Looks like it is good here too though! Duck hunted only once, had a great time... even if we got only four ducks. Would do it again in a heart beat. Amazing hunt there, no doubt. It's been a little slow around my neck of the woods this year. We are just now beginning to get what we consider minimum water levels to hunt most of our property. But the hunting has picked up lately. And as an added bonus, we've killed 17 specs in the last week!! Did really nice with this weekends cold arctic blast that froze up everything. Thanks. Been slow here too, with an occasional good stretch when temps plummet. I do most of my waterfowl hunting on Maryland's Eastern Shore (of the Chesapeake Bay.) Generally, in the area, we have big water shore and offshore blinds, farm ponds and man made, controlled water impoundments, salt marshes and creeks and fields. Plus sea ducks, like old squaw, scoters well offshore off of work boats or layout rigs. We don't get a lot of variety typically, with mallards, gadwalls and the occasional late green wing or wood duck in the smaller water, with black ducks as well in the salt marshes and rarely in farm ponds or fields. Canada geese in the fields and farm ponds and big water. Bigger water can be variable depending on type of shoreline and location, but the right spot will yield mallards, gadwalls, widgeon, Canadas as well as blue bills, canvas backs, buffleheads heads, ruddy ducks, golden eye and some places red heads. A spot that will reliably produce geese, puddle ducks and divers is treasured, most spots are limited to divers and geese or puddle ducks and geese, some to just one of puddle ducks, divers or geese. We have huge numbers of snow geese in some areas, but non in others. The place we were hunting Saturday can produce geese, divers and puddle ducks, but to optimize opportunities you have to switch blinds, especially with the NNE wind that was howling. Would have loved to shoots some geese Saturday, but only saw three flights before I left, they were still hunkered down when I left since they fed in the fields into the wee hours, with the snow beginning after midnight. After we limited out on the blue bills, my bud whose place it is, started dialing and getting other guys to come. It was one of those rare days when the action was going to last all day. He and I did the retrieving (from an 18' Jones Brothers skiff with a 75 Evinrude) while hoping for a crack at some red heads and canvas backs while new arrivals worked on their limits of blue bills. By the time I left, about noon or 1:00, my waders and jacket were stiff as plywood from the frozen spray. We endure the slow, sometimes fruitless days just to enjoy a couple of hunts like Saturday's every season. Chopperdrvr and Wildfowler like this. A buddy and I had a fun afternoon hunt the other day. Previously I discovered while calling Specklebelly geese that ducks would also show up out of the woodwork while calling the geese. Early in this hunt the ducks were very call shy and we're going to the middle of the property, and on a lark I pulled out my spec call to see if that would change their mind and lo and behold it did. They came readily to the sound of the goose call. And when a live goose was circling the spread while I was calling I would've sworn that every duck in the county was trying to get in there. I discovered a new secret tactic. Edit: had trouble with the pic for some reason. Homebrewer, JPK, Chopperdrvr and 1 other person like this. Wildfowler and JPK like this. I have a saying that goes, "The best duck decoy is a goose decoy." I think this is especially true on some of the bigger water because the size and the white, black and brown coloring of the Canada decoys makes them visible from further. I find confirmation on calm days, when a gaggle of geese will give you a look but set in the middle of the river or bay, and then the next gaggle, and the next... and not too long into it every duck is lighting with the geese. First duck I ever killed in my life was on The last day of the season in January 1981 and it was a ruddy duck. That was also my first duck hunt. It sent chills up my spine when my dad's partner blew his duck call, and a group of mallards overhead called back just like he did. I was hooked beyond recognition at that point. I still have not gotten over the agony of having to wait an entire year before I could go duckhunting again. We rarely get Ruddy ducks where I typically hunt. The working catfish pond guys in my area do you get them occasionally, but we don't. Do you all get ring necks? We get a fair number in farm ponds in VA, and a few here and there on the Eastern Shore. They are a diver that frequents smaller water, and seem to prefer fresh over the brackish salt water of the Chesapeake Bay Area. Btw, if you ever need a recipe for blue bills, the owner of a sports shop gave me one Saturday and I tried it that night. Very simple and they were great and the first blue bills I really enjoyed in the nearly 40 years I've been duck hunting. My lab, Duke, regretted the owner giving me the recipe, I think. We get ringnecks. See them a lot. They are probably our most plentiful diver. And they do get shot on slow days. We generally pass them up if the mallards are cooperating. Ring necks are fun to shoot. 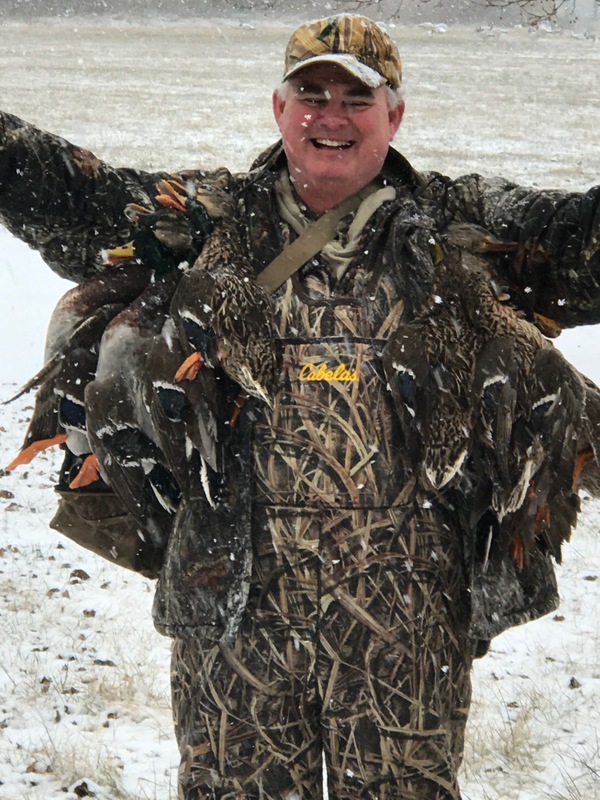 I am sure the simple but delicious recipe for blue bills will work for ring necks too: breast them out and cut into largish bite size pieces. Put them in an egg wash and then dredge in a 1/2 flour, 1/2 bread crumb mix with salt and pepper. Fry at medium heat in a skillet in olive oil or ? I used bacon drippings. Cook to rare to medium rare. Eat them as an appetizer or serve over a bed of wild, brown or white rice, adding your choice of veggie. I think Brussels sprouts would have been top choice, but broccoli was very good. I tried a pan gravy with a little red wine and some cranberry sauce that was in the fridge. The pan gravy was ok, not great. A little more time and maybe some chicken broth would have helped. For some reason, that simple recipe produced really tasty chunks, absent the strong liver flavor typical of divers. My wife and 16yr old son loved the duck, my overly weight conscious 19yr old daughter wouldn't try because the duck was fried. Ever heard of Chantelier's Game Sauce? We rarely find it in the markets here, but one of my hunting buds gathers orders and orders cases of it for the bunch of us. I'll send you a jar if you'd like to try. That sounds like a good recipe. Anything that gets the liver taste and smell out is good. "Cinnamon smoked duck" that's good at getting the liver flavor out of duck breast. Marinating duck breast for a couple of hours. Not overnight or days. Coat marinated duck breasts in ground cinnamon and lemon pepper. Grill over hot coals just a few minutes per side without cooking past med-rare. I prefer rare, and think it's better served cold within the next two days after cooking. Steak sauce of your choice is good or a coarse mustard enhances the now beefy flavor even more. That recipe is a great way to remove a lot of ducks at one time from your freezer too. I promise all your non-hunting friends will love it. I've never heard of your sauce and would love to try a jar. I'll trade you a bottle of our local MS Delta Chinese grocery store marinade and grilling sauce called "Hoover Sauce"
The story about the Hoover sauce is that a few years ago the FDA shut him down because the label didn't list the ingredients or something ridiculous like that leaving many MS sportsmen and women grief stricken and panicked about what to do with their rest of their lives knowing their beloved grilling sauce was no more. Story was that mr. Lee was beleived to have said "screw it" and wasn't going to comply with the gov't requirements and simply quit making it for a year or so. But the cries of his faithful followers became so unbearable that Lee was forced to conform so that his mysterious marinade tap could flow once again. I wish I had an old label bottle as a keepsake. I think I've heard of Hoover Sauce from some buds who have hunted in Arkansas and Mississippi, but I'm not sure. Looking forward to trying it. And also the recipe for cinimon smoked duck! I've never shot speckle bellies, but the bud whose place I hunted Saturday and who went to GA with my son and I to hunt hogs was in Arkansas not long ago and shot some. They cooked them up and he said they were good eating. Many here have trouble with Canada's. On the Eastern Shore we have commercial picking or breasting operations that will pluck geese, or breast them out for you. Picking a Canada is an all day affair it seems, they never run out of feathers. The picking sheds sell the goose down for jackets, vests, pillows, etc. some duck feathers too. We also have one commercial smoking operation that will cold smoke whole ducks or geese or goose breast, and they are fantastic. I have a pellet smoker and can do almost as well, but not quite. Years ago an bud and I figured out a way to cook a whole Canada goose so it was delicious. If the bird is fresh killed the skin is good eating, if frozen for more than a very short time the fat goes rank and the skin needs to be peeled or sliced off after cooking, but the skin needs to be on the bird for the recipe. Might work for speckle bellies. We take a plucked and gutted Canada and liberally salt and pepper the bird. Get a Webber going and wait 15 minutes past the time when you would put a rib eye or porterhouse on the coals, till they are past their prime. With a bottle of Worcester sauce in hand, put the bird on the grill breast down and shake enough Worcester sauce on it so it drips off the breast. Close the top. After five minutes take the top off and flip the bird, shake a bunch more sauce on it and close the grill. Put more Worcester sauce on it every beer, of about every ten minutes for a tea toteler. After a total cooking time of about 45 minutes the breast should be rare to medium rare and tender and roast beef like. Cooked too long and a penny loafer would be better eating. Only the breast is worth eating. I'll shoot you a PM with my address and so you can give me yours. Chantelier's will make anything good eating, but just a little really goes well with game with red meat, like ducks, geese and deer. The wife just informed me that I received a package. I can't wait to try it. Looking forward to the Hoover Sauce. Glad the postal clerk was wrong on the six day shipping! Some Hoover Sauce showed up today! Got a few ducks in the fridge, tonight or tomorrow! Thanks Andy!